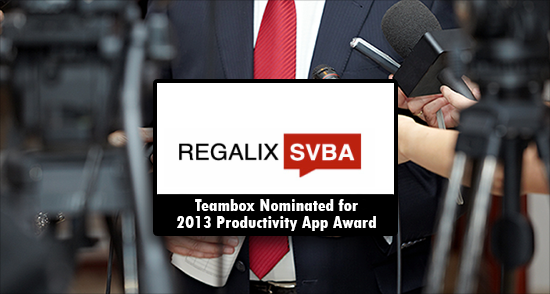 Teambox was thrilled to learn we’d been nominated in the Productivity category, one that recognizes apps providing easy and effective means of organizing time, projects, events, and tasks. Being included as a nominee along with industry leaders like Fidelity Investments, VMWare, App Genie and Square is an honor. The winner will be chosen on November 13 at an awards ceremony and we all have our fingers crossed that the judges see the value of Teambox and pick us! Managing a project is always a complex task. Almost all projects are done in bits and pieces at different ends, and have to be tracked in different ways, and by different digital tools. Teambox developed a project and task management solution that was not big, complicated or expensive. The team was successful in developing a mobile app that featured minimalistic design and applicable to both smartphones and tablets. Leveraging the Teambox app helps teams within companies shift their mindset away from email as a collaboration and project management tool, and instead focuses on creating tasks within the app that offer enhanced tracking, productivity and clarification capabilities. The Teambox app has been downloaded more than 100k times, more than tripling our customer base in last 12 months. Download the Teambox productivity apps from the Apple Store or Google Play Store. Give them a try!